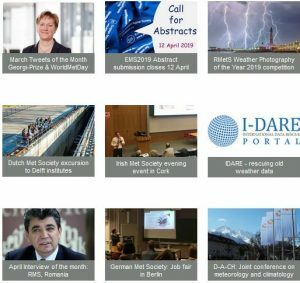 10 video clips of TV weather forecasts were submitted for theEMS TV Weather Forecast Award 2018, two of the entries were received from countries outside of Europe. The selection committee chose the forecast produced by Dunja Mazzocco Drvar (Croatia) to receive the award. The forecast by Dunja Mazzocco Drvar, Croatia, was selected for the EMS TV Weather Forecast Award 2018. The entry integrated climate information to put the forecast in perspective – the type of information that should be encouraged. The forecast consisted of general information, a regional forecast, and sea surface temperatures that viewers might find helpful. The broadcast was well-paced with clean graphics. 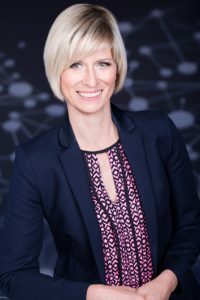 Dunja Mazzocco Drvar is a meteorologist, editor and weather presenter with RTL Hrvatska (Croatia) and has been working as a broadcast meteorologist for 15 years. She holds a Master of Science Degree in Physics, Meteorology and Oceanography from the Faculty of Science at the University of Zagreb. Dunja’s forecast will be shown as an example of good practice during the Media Session at the EMS Annual Meeting in Budapest on Wednesday, 5 September 2018. The Award will be presented to her during this session.